Lisa Redford is a talented British singer-songwriter who has received such praise as being called "one of our finest singer/songwriters" by respected country music radio presenter Bob Harris and "In a sea of smart female singer-songwriters, Lisa Redford is an admiral" by Maverick magazine. 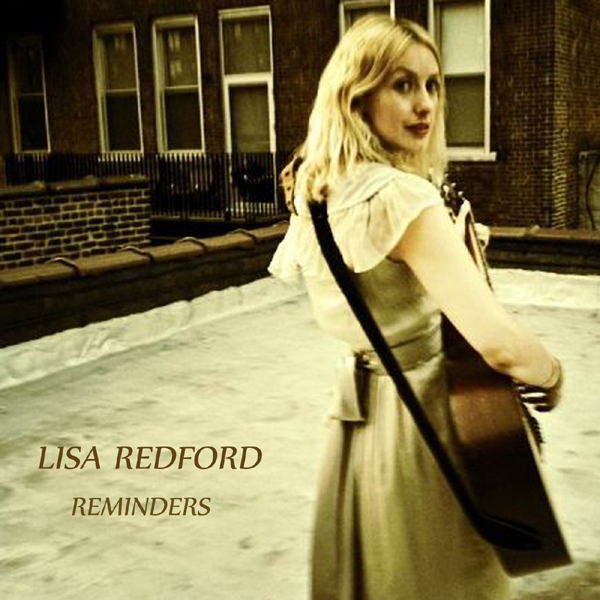 Lisa has released six albums, including her latest release Reminders and Lisa Redford Live which was recorded as part of her Clouds With Silver UK headlining tour. Reminders was recorded in Brooklyn, NYC and features Reminders, Summer On The L, Dreaming In The Crowds and So Many Words. Considering the EP only has four songs on it it is very strong. I would say my favourite song is probably Dreaming In Crowds. The instrumentalisation on the song is very strong and doesn't overshadow Lisa's vocals at any point. It is definitely more stripped back than other songs that are out at the moment but that is definitely part of Lisa's vocal appeal. I am also a big fan of the title track from her new EP, Reminders. In my opinion it has a bit of a darker feel than some of Lisa's other songs and adds another dimension to her vocals. It could be said that Lisa's songs are similar melodically however I feel the melodies and lyrics are different enough that Lisa stays true to herself whilst still making albums that keep fans interested. Lisa also has a brand new song on her Youtube channel entitled The Boy Who - it is a very strong song and very lyrically based with a lovely message behind it. It seems to me that many of Lisa's songs are very focused upon the message behind the lyrics and I would encourage people to spend time to listen to the songs fully. There are so many incredible songs that I wish I had written. The songs that Paul Simon wrote as part of Simon and Garfunkel such as 'Bridge Over Troubled Water', 'The Boxer', 'The Sound of Silence' are exceptional so I'd choose one of them. They are all classics and have a timeless quality that have resonated with so many people. 2) Which artist from any genre would you like to collaborate with and why? Ryan Adams as I love his voice and song writing. 'La Cienaga Just Smiled' is a perfect song. 3) Bob Harris described you as "one of our finest singer/songwriters", how did it feel to play his "Bob Harris presents" showcase? It was a brilliant night, definitely one of the highlights of my career and an honour to have Bob introduce me on stage. It has been amazing having the support of someone as respected as Bob, he's played a lot of my music on his show plus I've been in for 2 live sessions. My song 'Dragonfly' was also featured on a Best of British special that he compiled and he's also recently played the title track of my new ep 'Reminders'. 4) What haven't you done in your career yet that you would like to? There are quite a few things that I haven't done yet that I dream of doing. One is getting to go out on a very big tour as there are a lot of places in the UK and Europe I haven't played yet where I have loyal fans. I'm inspired by artists and songwriters such as Josh Rouse, Carole King, Shawn Colvin, Neil Young, Simon & Garfunkel, Kings of Convenience, Kathleen Edwards, Alison Krauss, Rosie Thomas, Ryan Adams, Dolly Parton, Emmylou Harris and Hem. 6) How do you deal with nerves before a performance? I tend to find a quiet place to just sit and read and focus on the show. 7) What music are you listening to at the moment? 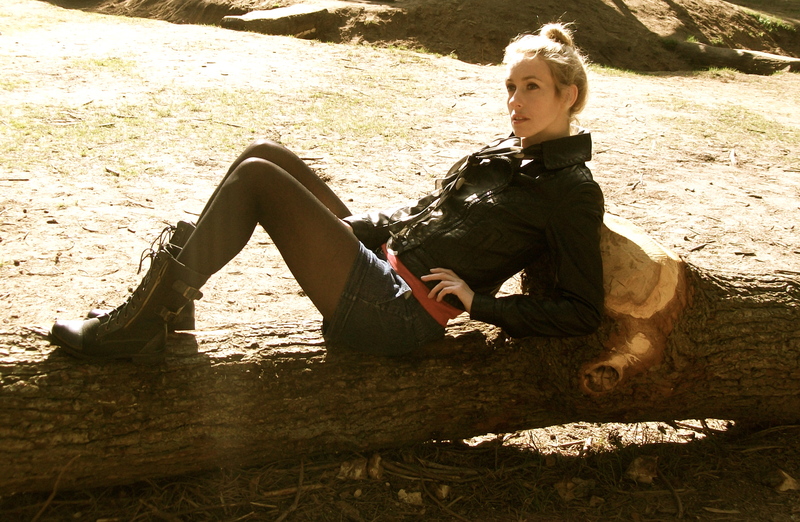 I have a really eclectic taste in music and listen to a mix of acoustic, Americana and also indie, folk and electronic. I also regularly listen to Bob Harris Country. 8) What's your favourite part about being a musician? I absolutely love the creative process, writing a song that you're really excited about and coming up with melodies and lyrics. I really enjoy recording, adding the instrumentation and layers of a song and creating something new to share with my fans. 9) What's your least favourite part about being a musician? It can be frustrating waiting to hear back about things and it's very unpredictable. Be prepared to work really hard and be persistent and patient. It's essential that you're incredibly motivated and as well as your music side you need to have a strong online presence. It's important to be really passionate about your music and know your style. Also to do your research when contacting the right industry people who are potentially going to be interested in your genre of music. I have unfortunately not had the opportunity to see Lisa live yet but she does tour both the UK and US and I would definitely recommend going to see her live if you get the opportunity.